Teeth whitening can help to reverse the natural effects of aging and the less natural discolouration that can happen through our lifestyle choices of drinking coffee, tea or red wine or smoking. 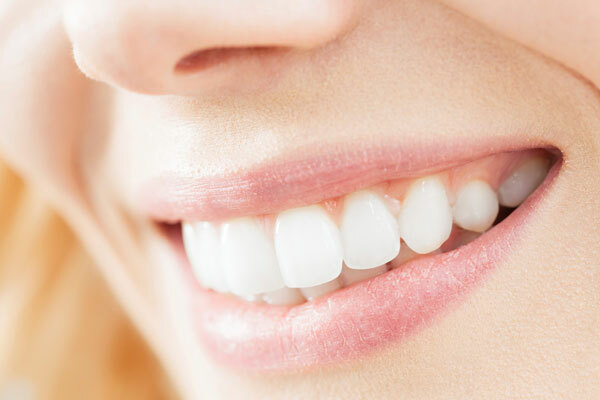 Helping you to achieve a sparkling, natural smile, tooth whitening is one of our most popular dental treatments. We are pleased to offer professional Zoom whitening in-surgery to give intense and immediately noticeable results. After carefully protecting your gums, a special gel is applied to your teeth and they are then put under a UV light that reacts with the gel to quickly lighten the tooth colour. This process takes around an hour. Impressions of your teeth are taken and special customised trays are made for you to continue the whitening process at your convenience. These trays are filled with a special whitening gel and worn for short periods during the day, or all night while you sleep, for long-lasting results. This means you will complete the process in the comfort of your own home for guaranteed results over the space of around two weeks. When done professionally, teeth whitening is totally safe, virtually pain-free and suitable for the majority of people. It can only be legally done by a registered dental professional, so beware others offering cheap whitening – you risk seriously and permanently damaging your teeth, mouth and throat. We will consult with you thoroughly before treatment starts to ensure whitening is suitable for you. What does tooth whitening do? Tooth whitening can be a highly effective, yet very simple way, of lightening the colour of teeth without removing any of the tooth surface. It cannot make a colour change, but lightens the existing colour. In a live tooth the dentist applies the whitening product using a specially made tray, which fits into the mouth like a gum shield. The chemical is then activated using heat, or heat and light combined. The active ingredient in the product is normally hydrogen peroxide or carbamide peroxide. If the tooth has been root treated, the canal, which previously contained the nerve, may be reopened and the whitening product is put in. In both cases, the procedure needs to be repeated until the right shade is reached. Why would my teeth need to be bleached? Everyone is different; and just as our hair and skin colour varies, so do our teeth. Some teeth have a yellowish tinge; some are more beige – very few are actually 'white'. Teeth also yellow with age and can become stained on the surface by food and drinks such as tea, coffee and blackcurrant. Calculus (tartar) can also affect the colour of the teeth. Some people may have staining inside their teeth. This can be caused by certain antibiotics or tiny cracks in the teeth, which absorb stains. Will I be happy with the results? Treatment results may vary depending on the original shade of the teeth. Teeth will tend to darken slightly over time. The effect lasts for around one to three years, although sometimes it can last longer. Some people find that their teeth are sensitive for the first few days after treatment, but this wears off after a short while. Over-the-counter kits are not recommended as they contain only a small amount of hydrogen peroxide that makes the product less effective. Some also contain mild acids, while others are abrasive. Although these products are cheaper, whitening is a complicated treatment procedure and should only be carried out by a dentist after a thorough examination and assessment of your teeth. It is very important to follow the instructions your dentist gives you, and to make sure that you go for any follow-up appointments recommended. When might whitening not work? Whitening can only lighten your existing tooth colour. For a change to a specific chosen shade, veneering is another option. Whitening also only works on natural teeth. It will not work on any type of 'false' teeth. This includes dentures, crowns and veneers. If dentures are stained or discoloured, it may be worth visiting the dentist and asking him or her to clean them. Stained veneers, crowns and dentures may need replacing. Again, ask your dentist. There are now several whitening toothpastes you can buy. Although they do not affect the natural colour of the tooth, they are effective at removing staining and therefore improving the overall appearance of the tooth. Whitening toothpaste may also help to keep up your newly-improved appearance, once your teeth have been professionally whitened.